Great helm, modelled after the find from Schloss Madeln dated to c.1250, which had been buried by rubble since an earthquake in 1356, and which is now in the Cantonal Museum in Liestal, Switzerland. 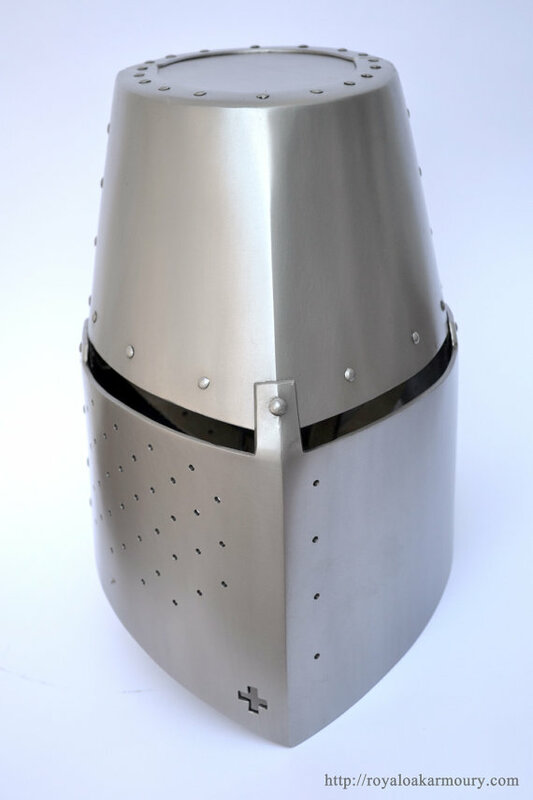 Standard thickness of 16 gauge throughout, with the option of thicker plates at extra cost. 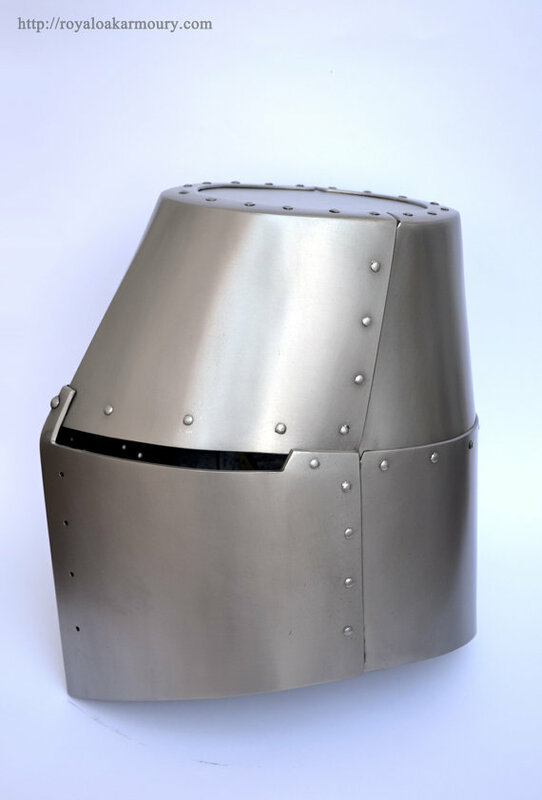 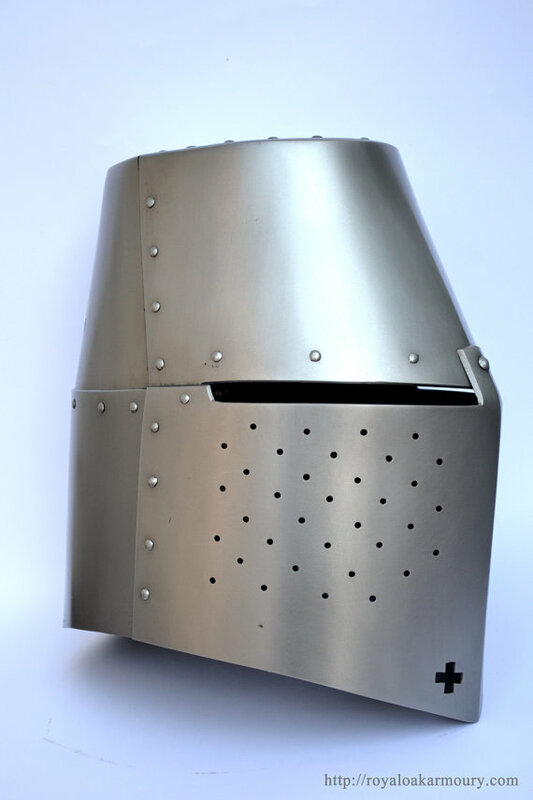 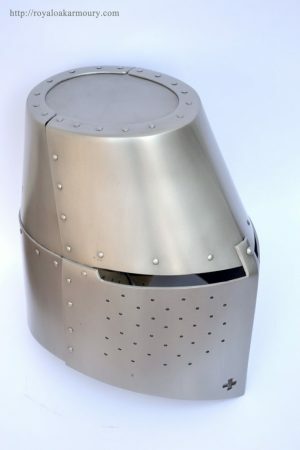 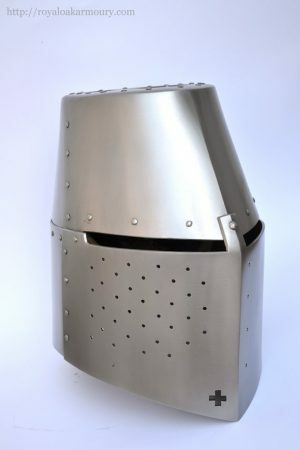 The very sturdy helm shown was made of 14 and 10 gauge at the customer’s request.